Mrs. Hazel Fowler Gee of Jefferson passed away on Wednesday, March 27, 2019. 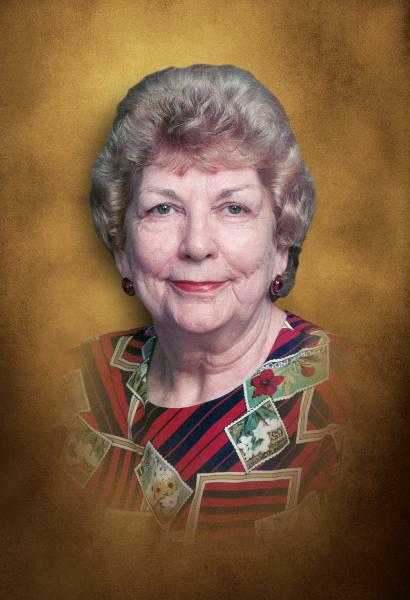 Mrs. Gee was born in Pendergrass, Georgia, on April 29, 1928, to the late Arlie and Leila Gee Fowler. Mrs. Gee graduated from Athens Business College and went to work for Travelers’ Insurance in Atlanta, where she shared an apartment in Atlanta with three other young women. In 1950, she married Calvin Gee. They lived in Pendergrass and were active members of Pendergrass Baptist Church, where they worked with youth. About 1965, they moved to Snellville, where they joined First Baptist Church of Snellville. Until the early 1970’s, Mrs. Gee worked for several businesses, including Smith Bridges in Pendergrass and Gwinnett County Farm Bureau in Lawrenceville. She was also a homemaker, a member of the Snellville Lions’ Club, Snellville Eastern Star, an honorary member of Jefferson Lions’ Club, and Pendergrass Baptist Church. Mrs. Gee was preceded in death by her husband, Calvin Gee; her daughter Ginger Gee; her sister, Allene Fowler Cruce (Mrs. Broughton); and her brother, E.L. Fowler (husband of Lucille). Survivors include her daughter, Deborah Langley and her husband, Richard, of Jefferson; Jeff Gee and his wife, Karen, of Kingwood, Texas; grandsons: Greg Logan of Atlanta; Andy Logan and his wife, Mandi, of Loganville; Sam Gee and his wife, Kendra, of Dallas, TX; David Gee of Kingwood; and great granddaughters, Shelby Logan and Anslee Logan. Mrs. Gee was a loving mother, grandmother, and great grandmother and will be missed by many other family members and friends. Visitation will be at Evans Funeral Home from 2:00 to 5:00 pm on Saturday, March 30th. On March 31st, at 1:30 pm, Mrs. Gee will lie in state at Pendergrass Baptist Church. The Funeral Service will begin at 2:00 pm, with the Reverend Randall Hulsey officiating. Mrs. Gee will be buried in the Pendergrass Baptist Church Cemetery. In honor of Mrs. Gee, please make donations to Pendergrass Baptist Church, 105 Church Street, Pendergrass, GA 30567; St Mary’s hospice, P.O. Box 6588, Athens, GA 30604; or the charity of your choice. or a charity of one's choice.